Ends its support for Burma’s regime. 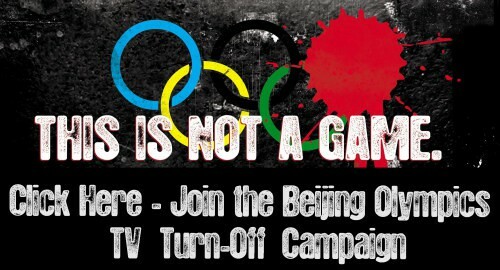 Not watch the Beijing Olympics, especially the opening and closing ceremonies. During the Olympics you will not purchase goods from Olympic corporate sponsors. On the organizer’s pages you will also find a list of Olympic corporate sponsors. 8 August 2008 – what to do instead of watching the opening of the Olympics? Make a day of commemoration for Burma! It will be precisely 20 years since the Burmese regime’s crackdown on the peaceful protests in Rangoon, killing several thousands. 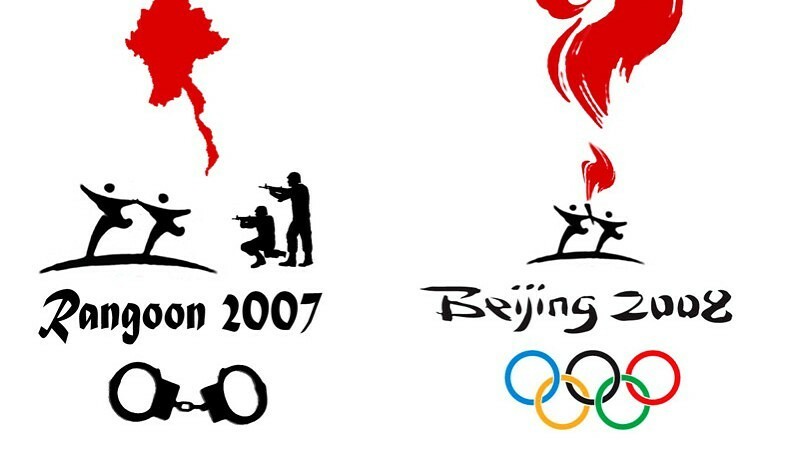 The Olympic Campaign is targeted at the foreign policy of the Chinese government, not at the Chinese people. We hope for mutual friendship between China and Burma based on the respect of human rights and the prosperity of both countries. Why has the Burma Center Prague launched this campaign? We want to renew interest in Burma, and raise awareness of China’s role in supporting Burma’s military regime. What is the connection between China and Burma? China commits human rights violations not only on its own territory, but also on others, such as Burma. Were it not for China’s support of the Burmese regime, Burma could become a democratic country again. Since 1989, the year after Burma’s military regime brutally suppressed a mass people’s uprising calling for democracy – China has provided Burma’s regime with over US$2 billion worth of weapons and military equipment, some sold at below market prices. With Chinese arms and military equipment, Burma’s regime has quadrupled the size of its forces to 450,000 men, including with approximately 70,000 child soldiers – more than any other country in the world. The Burmese regime uses Chinese weapons to violently crackdown on pro-democracy protesters and to run its war against civilians from minority ethnic groups. In 2007, China and Russia vetoed a peaceful UN Security Council resolution – that had garnered enough votes to pass – that would have strengthened the Secretary General’s mandate to resolving the crisis in Burma. And China is one of the only countries in the world to refuse to back the UN Secretary General’s call for the release of Aung San Suu Kyi and all political prisoners. China is one of the biggest investors in Burma and has provided the country tremendous economic assistance. China is involved in more than 62 hydro, oil & gas, and mining projects in Burma. These projects take place without consultation of local communities, without regard for environmental concerns and results in destruction of land and loss of livelihood. What is the difference between this campaign and a boycott? We want to differentiate between the sporting side of the Olympic Games, and the propaganda side. Our campaign is focused only on the propaganda side, which is trying to spread the message that no major problems exist and that China is not guilty of violating human rights. What do you recommend to athletes – boycott the Olympic Games or participate? It is not important whether athletes participate in the Games or not, but rather what public statement they make. This statement can be made very effectively not only by means of a boycott, but also directly in the Chinese stadiums. Are you also focusing on sponsors and if so will this have any effect, given that contracts have already been signed with all the major sponsors? China attaches great importance to its reputation and is trying to plant the seeds for future investment. You can already see the effect of public opinion on sponsors’ business strategy: you see very few ads where companies are mentioning that they are sponsors of the 2008 Olympic games, even though they paid huge sums to be sponsors.